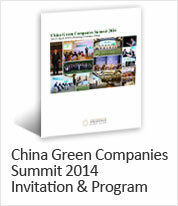 The 7th China Green Companies Summit (CGCS) will take place in Nanning, the capital city of Guangxi province in southern China, from the 20th to the 22nd of April, 2014. Attracting over 1000 insightful business leaders, senior political figures, prominent scholars and mainstream media each year, the CGCS is dedicated to promoting sustainable economic growth, and advocating business integrity. We would be honored to have you join us this year in Nanning, and become part of the push for smarter growth in China. For more information about the Summit, please check our website here. The China Entrepreneur Club (CEC) has recently launched a LinkedIn Corporate Page to better inform our readers of updates and information about Club activity. We welcome you to follow us on LinkedIn and stay up-to-date on CEC events throughout the year! The China Entrepreneur Club is the premiere business leader platform in China. Established by 31 of China's most influential entrepreneurs, economists and diplomats in 2006, the CEC is a hub for Chinese entrepreneurial exchange, cooperation, and international collaboration. As a private non-profit organization, the CEC is committed to nurturing entrepreneurship and business integrity while paving the future of sustainable economic and social development.